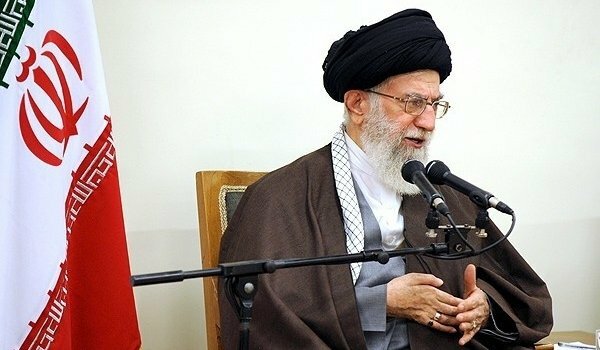 Iran’s supreme leader Ayatollah Ali Khamenei has warned that Saudi Arabia will face “divine revenge” for its execution of Shia cleric Sheikh Nimr al-Nimr. Ayatollah Ali Khamenei described Sheikh Nimr al-Nimr as a “martyr” who acted peacefully. Protesters stormed the Saudi embassy in Tehran on January 2, setting fire to the building before being driven back by police. Sheikh Nimr al-Nimr was one of 47 people executed for terrorism offences. Ayatollah Khamenei said Sheikh Nimr al-Nimr had been executed for his opposition to Saudi Arabia’s Sunni rulers. “The only act of #SheikhNimr was outspoken criticism,” he added, saying the “unfairly-spilled blood of oppressed martyr #SheikhNimr will affect rapidly & Divine revenge will seize Saudi politicians”. Sheikh Nimr al-Nimr had been a figurehead in the anti-government protests that erupted in the wake of the Arab Spring up to his arrest in 2012. Iran – Saudi Arabia’s main regional rival – has led condemnation among Shia communities over the execution. The foreign ministry in Tehran said the Sunni kingdom would pay a high price for its action, and it summoned the Saudi charge d’affaires in Tehran in protest. Some of the protesters at the Saudi embassy in Tehran hurled petrol bombs and rocks. Forty people have been arrested, officials said. There have also been demonstrations in Saudi Arabia’s Eastern Province, where Shia Muslims complain of marginalization, as well as in Iraq, Bahrain and several other countries. For its part, Saudi Arabia complained to the Iranian envoy in Riyadh about what it called “blatant interference” in its internal affairs. Sheikh Nimr al-Nimr’s execution has worsened long-running tensions between the two Middle Eastern nations, which support opposite sides in the Syrian and Yemen conflicts. The US and UN have both called for restraint. In a statement after the executions, State Department spokesman John Kirby appealed to Saudi Arabia’s government to respect and protect human rights, and to ensure fair and transparent judicial proceedings. John Kirby also urged the Saudi government to permit peaceful expression of dissent and, along with other leaders in the region, to redouble efforts to reduce regional tensions. Most of the 47 executed by Saudi Arabia were Sunnis convicted of involvement in al-Qaeda-linked terror attacks last decade. Saudi Arabia carried out more than 150 executions in 2015, the highest figure recorded by human rights groups for 20 years.